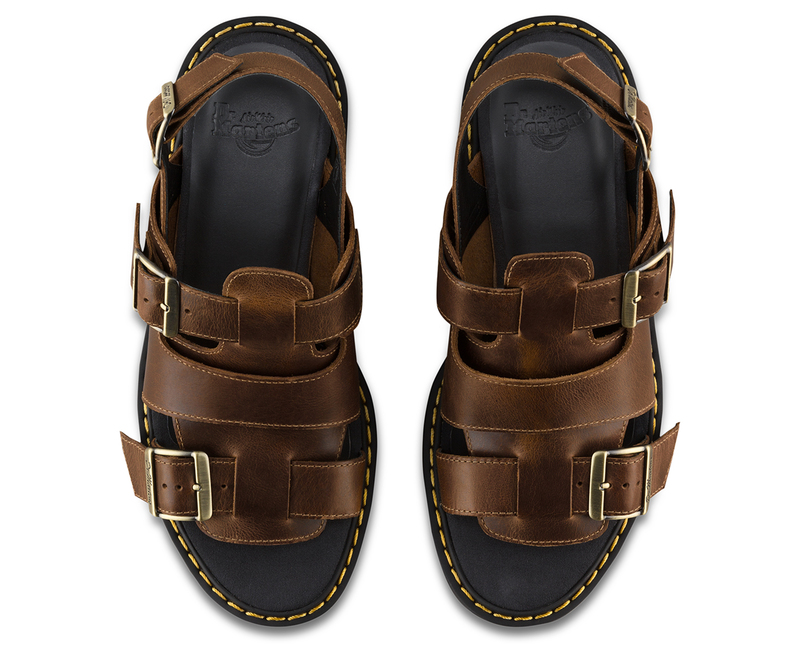 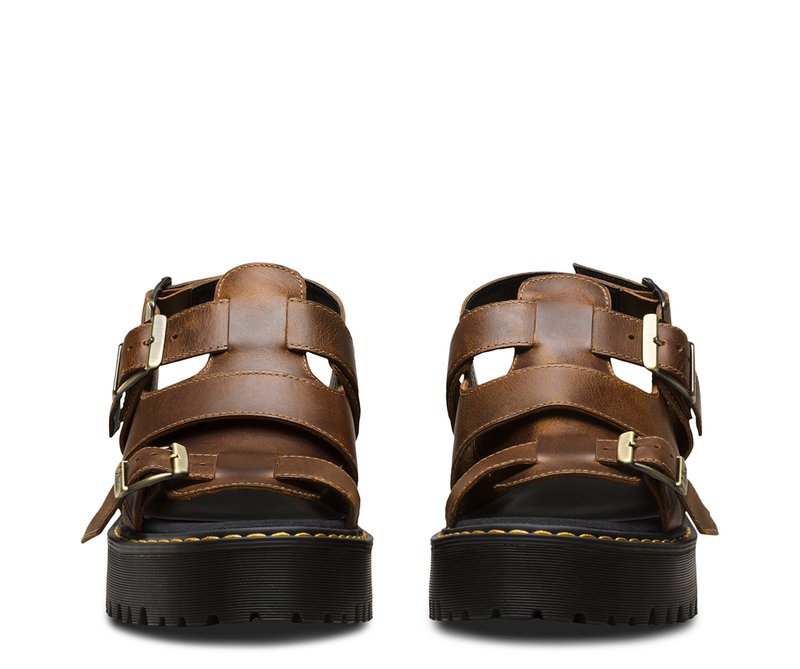 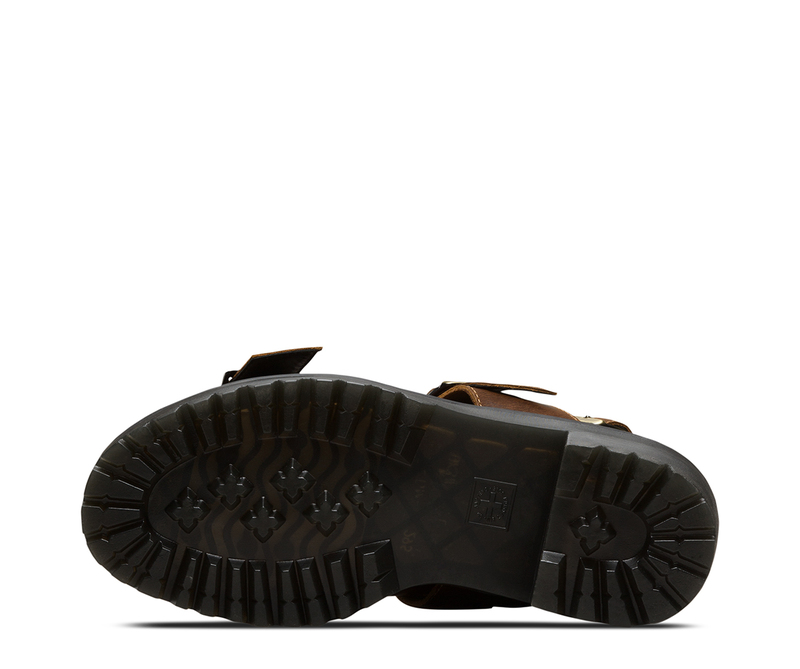 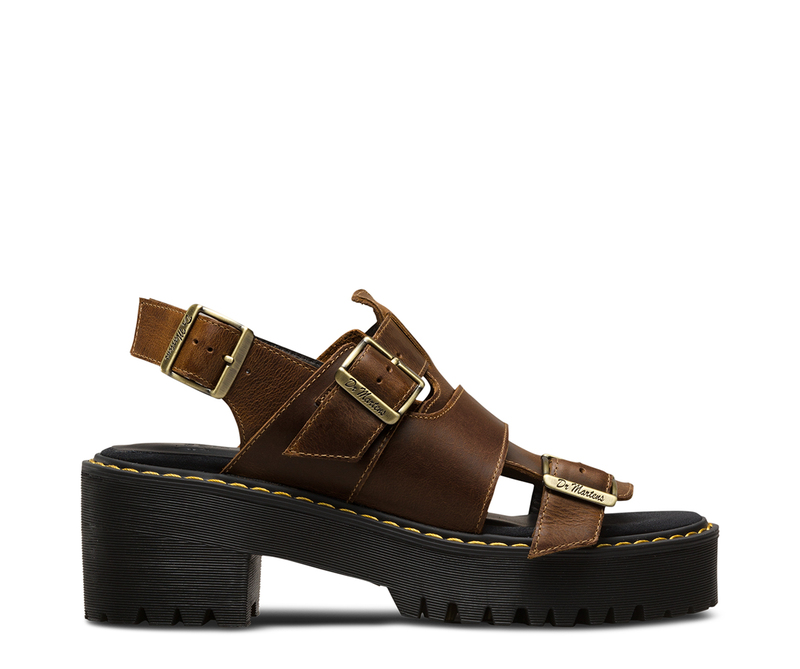 The Ariel is a fisherman's sandal for women, with a Dr. Martens twist: a chunky, platform air-cushioned sole. 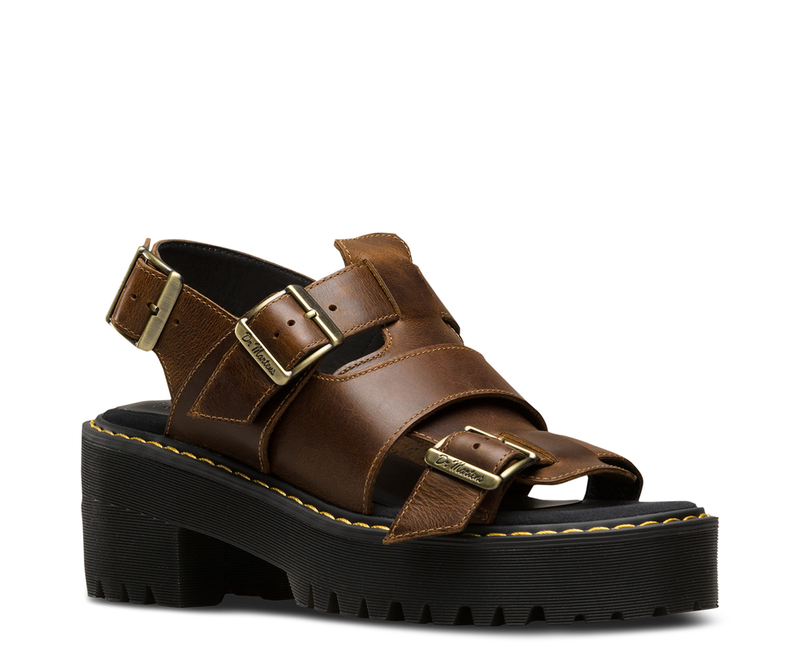 Featuring a woven upper made with character-rich, butterscotch leather, three adjustable buckle straps and tons of Doc's attitude. 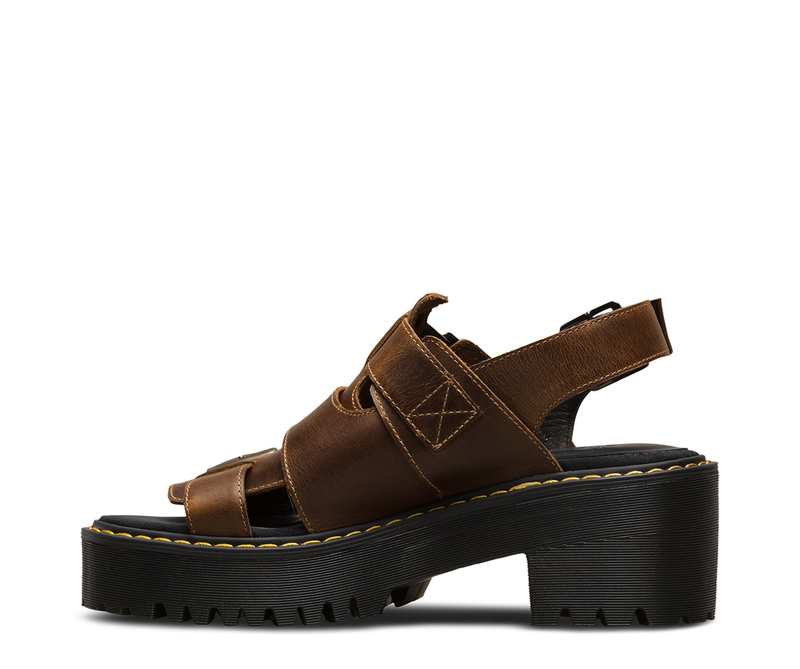 Platform is 1.5"", and heel is 2""